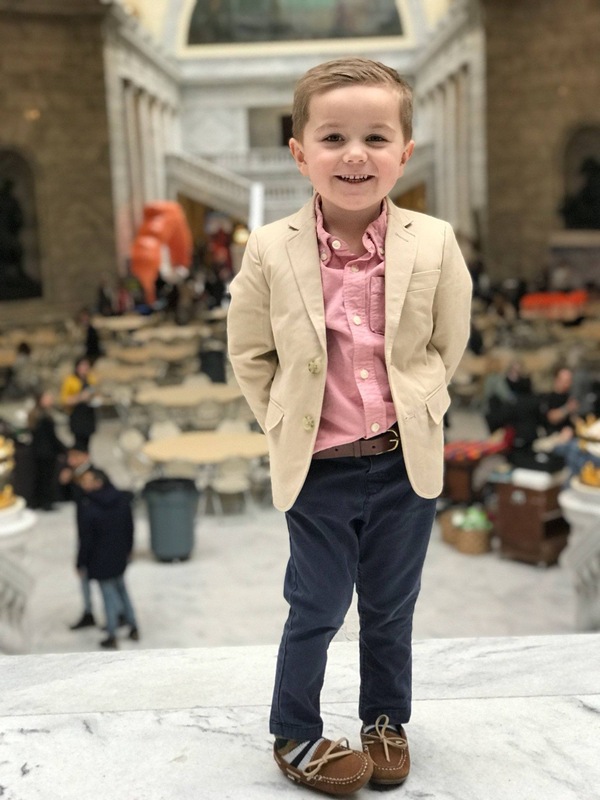 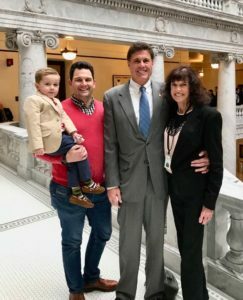 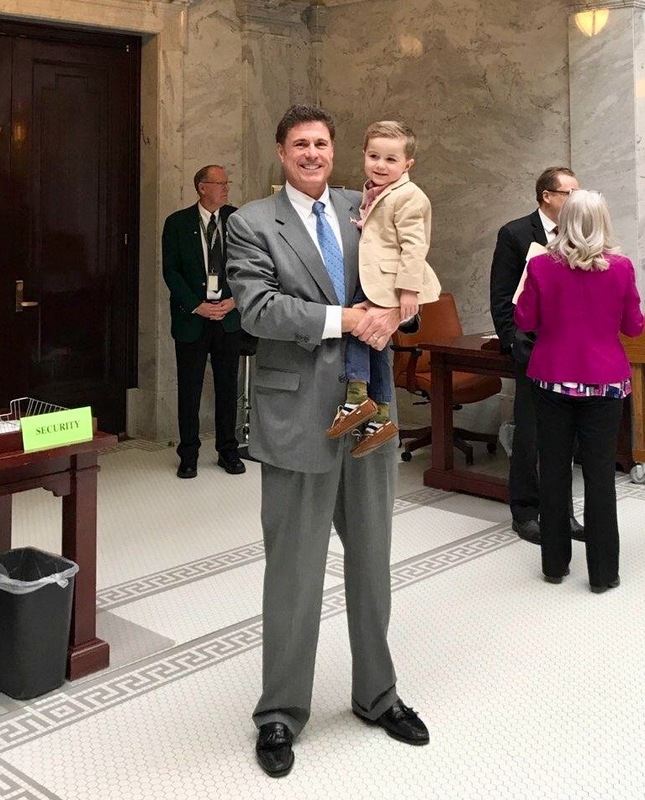 At the opening ceremony of the 2018 legislative session with my wife Vicki, son Jason, and grandson Nixon. 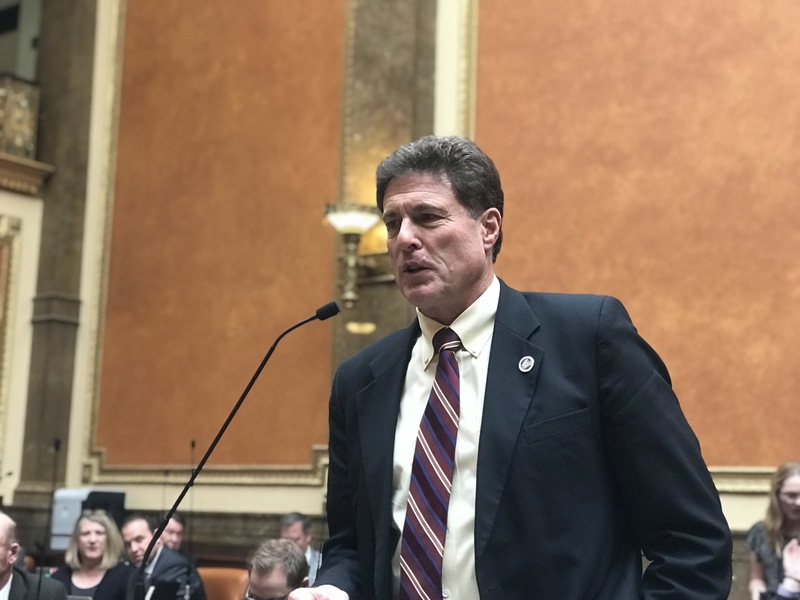 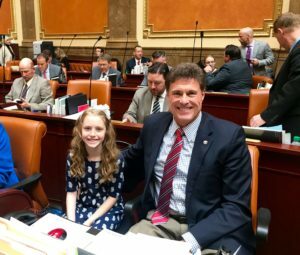 On the House Floor, discussing important policy changes outlined in my fireworks bill. 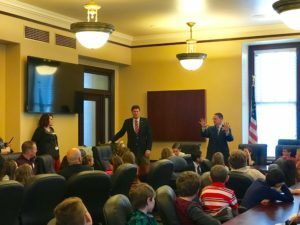 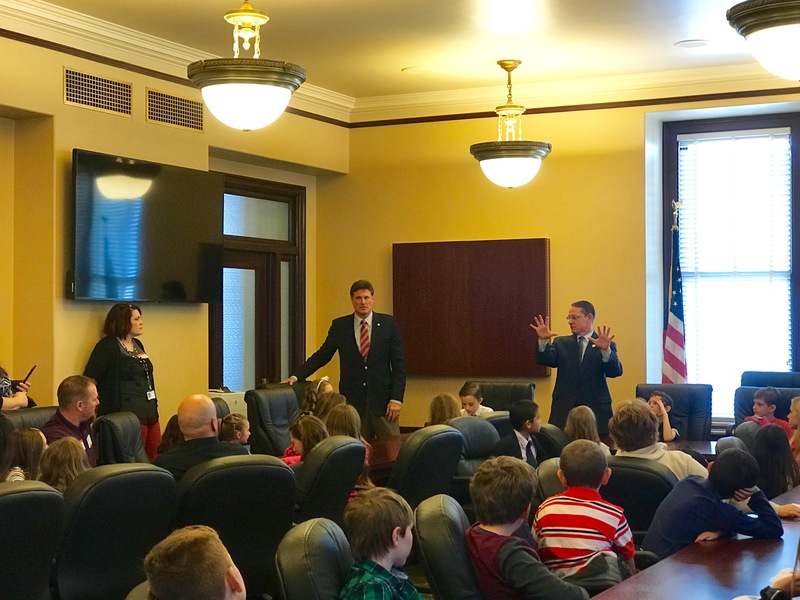 Fun day at the Capitol spent with the children and teachers from Terra Linda Elementary School, including my daughter Jill, a teacher’s aide, and granddaughter Brielle, a student. Brielle was able to take some time out of her class tour to come sit with me on the House Floor. 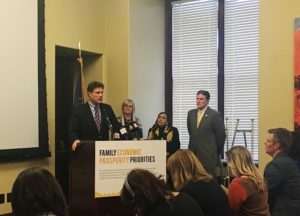 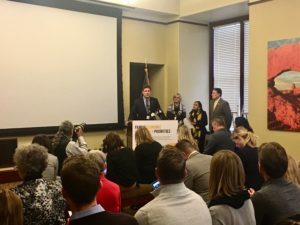 At a press conference, discussing my bill that aims to guarantee workers a fair process when seeking a claim of discrimination against their employer. 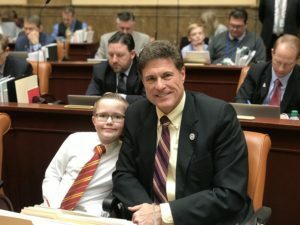 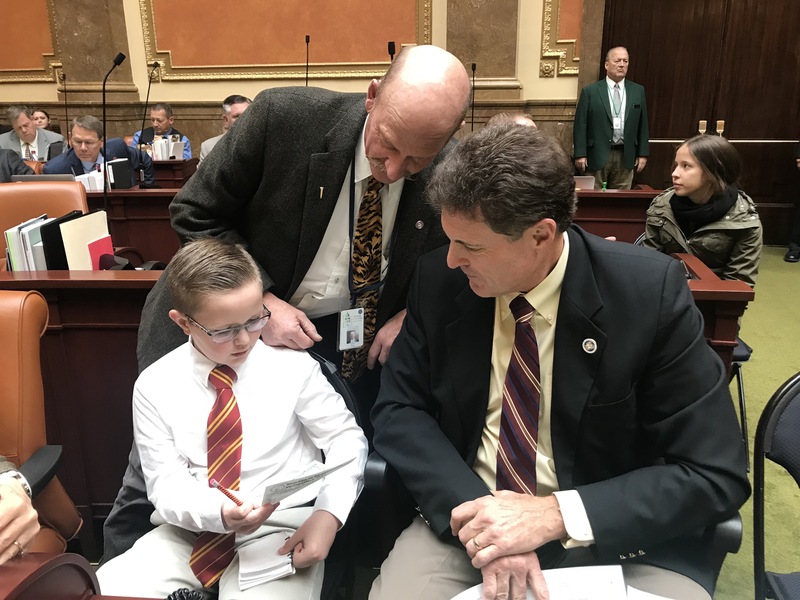 Today, I had the privilege of having one of my constituents, 10 year old Landon Fugal, sit with me on the floor. 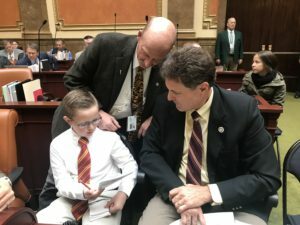 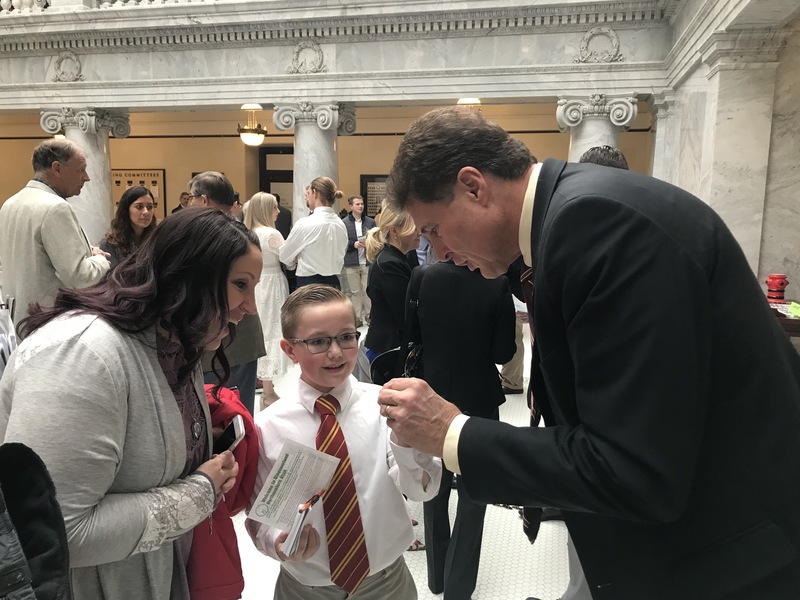 It was his lucky day as he received two fun gifts: an honorary legislative pin from me and a dinosaur hunting license from Representative Chew.